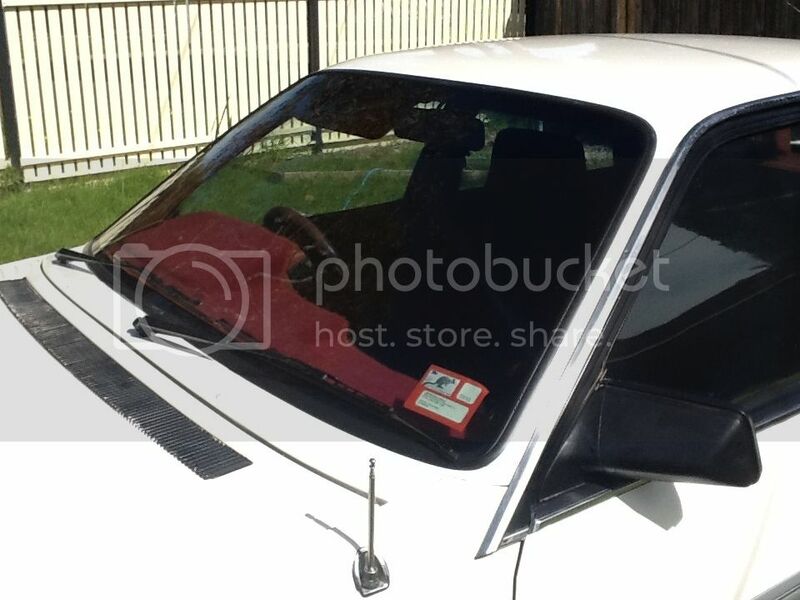 I recently removed the windscreen from my calais and had great success with how i did it so i figured I'd post for others like me that would rather spend 200 knicker on something other then a new screen. all up it took me the best part of a days work and i did it by myself but would obviously be far quicker if you had a minion. So the tools i used or tool was old faithfull leatherman or combination pocket tool, and as sharp as the flat blade is it turned out to be the oddly shaped half serated blade that did the best at removing the old Sika. Anyway on with the steps. Remove the A pillar plastic strips and the upper and lower plastic seal cover type things so all you have is the screen sitting on Sika. Take your semi serated knife and carefully start doing long strokes over the sika at the top and bottom of the screen being carefull that once you got past the sika you aren't cutting into the metal of the body. Once you have gotten past the sika then it should start lifting out revealing the screens edge once you have that gently insert the blade in under the glass making sure you dont cut any of the pillar material. Now if your screen is sealed like mine your gunna get the ****s with the bottom of the screen cause mine had loads of thick sika and was a right PIA to get through so what i did was from the inside was gently push the tip of the blade through to the outside and repeat that for the whole length of the screen. repeat above steps and you will be able to see and feel the screen separating from all the sika and if you lift it gently in sections you will be able to see where the sika is still hanging on once all sections have let go gently with your arms spread from the outside top lift the screen and remove from car. Oh BTW make sure you lay out something for the screen to lay on when you get it out, I used an old car cover bunched up on a box as a temporary. Good luck guys and just remember patience is what will get the ******* out in one piece. Piano wire held with vice grips on each side. Make access hole through sealant, insert wire and attach vice grips either side. Then just saw away. I did the above but it does take forever. I did the same thing with a blade and flat head screw driver for the rear window. Didn't take me too long, I'd say less then half hour. lie down on the back seat put both feet on the screen spread evenly, and steadily push until it pops out. works everytime. Mine was full of urethane. From factory the rear isnt glued in. I used piano wire when i took my front windscreen out... heat one end up with a lighter so it slides in easily. Go all the way around get a mate or a family member if you dont have any mates to help you lift it out and youll be sweet. It's the one that the side windscreen mouldings fit into. If you look at Fly's pic above you can see one of them. Good thread as well by the way. I donno about those vt molding upgrades. Thanks for the tips on the rear screen guys. Might sit it out in the sun to loosen up the rubber. Might help a little. will ill be doing the vt seal. with the vl side plastic glued on to make it look original . ^Easier said than done, the VT seal is alot fatter where the VL seal is skinny and thin. oh and you cant put you OG plastic back over....one it wont fit two it'll loook terrible! It's the front one mate, and yeah the rear's much easier to take out.